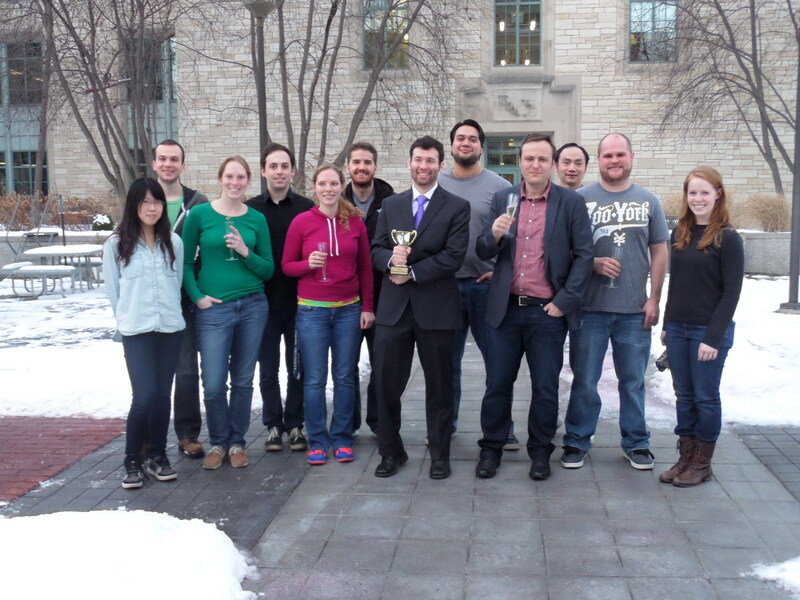 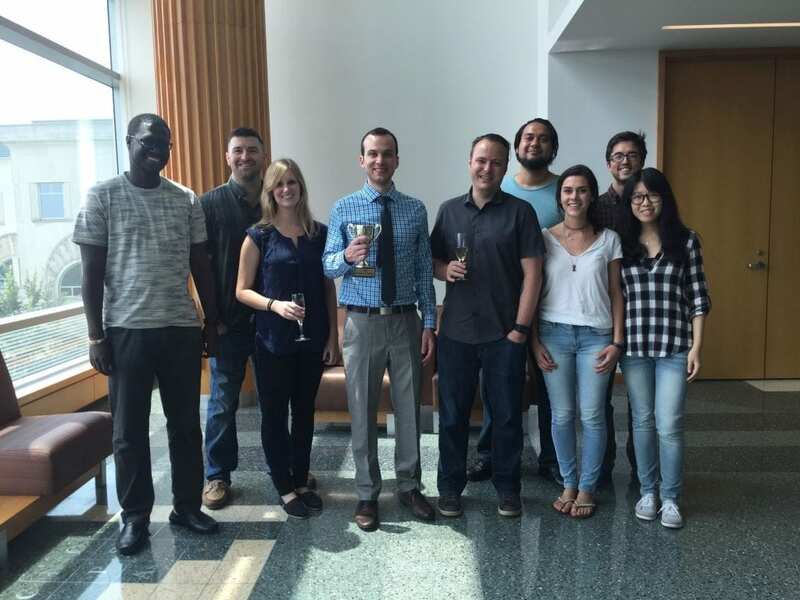 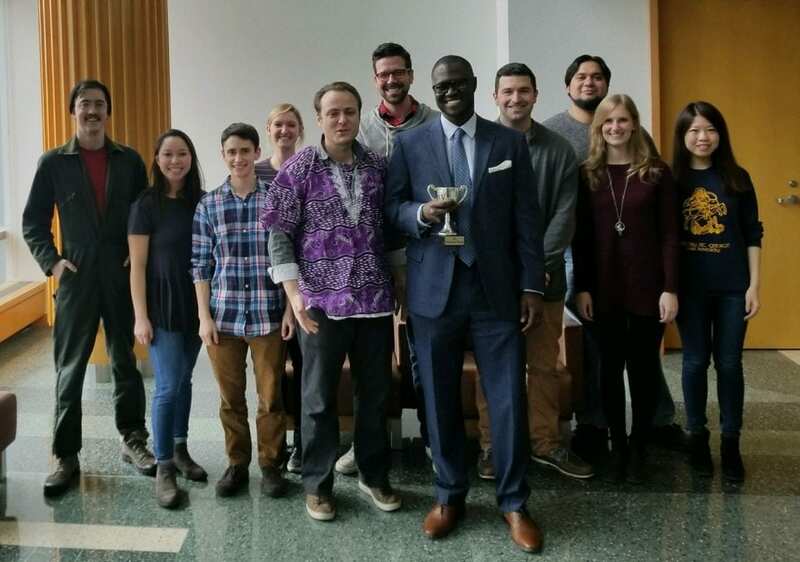 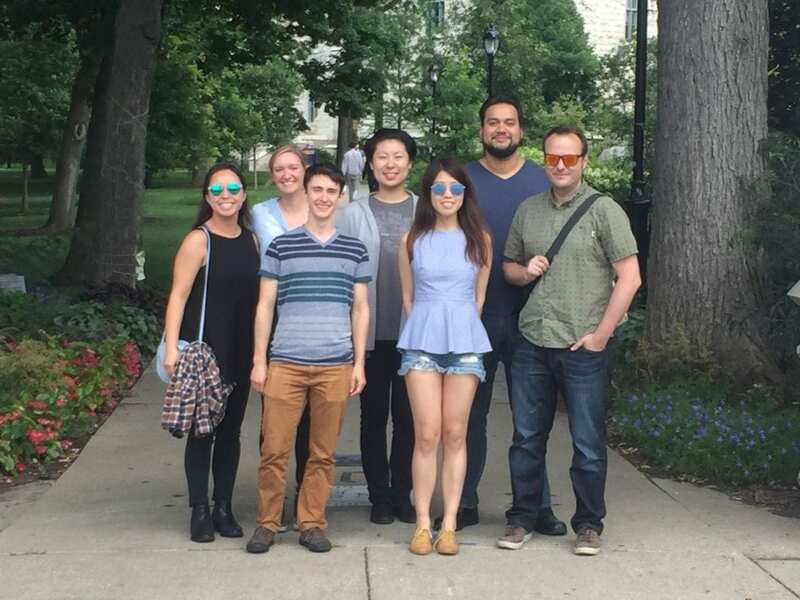 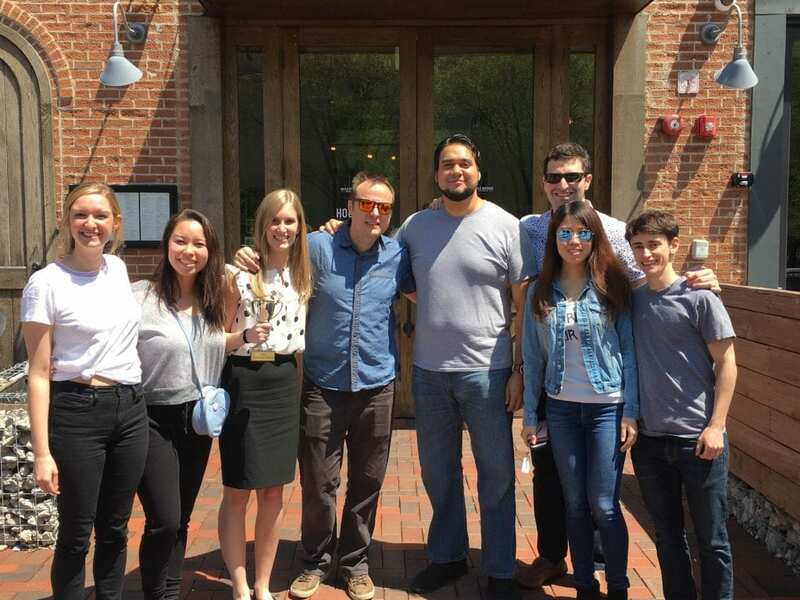 Reed Larson and group members following his Ph.D. thesis defense (2014). 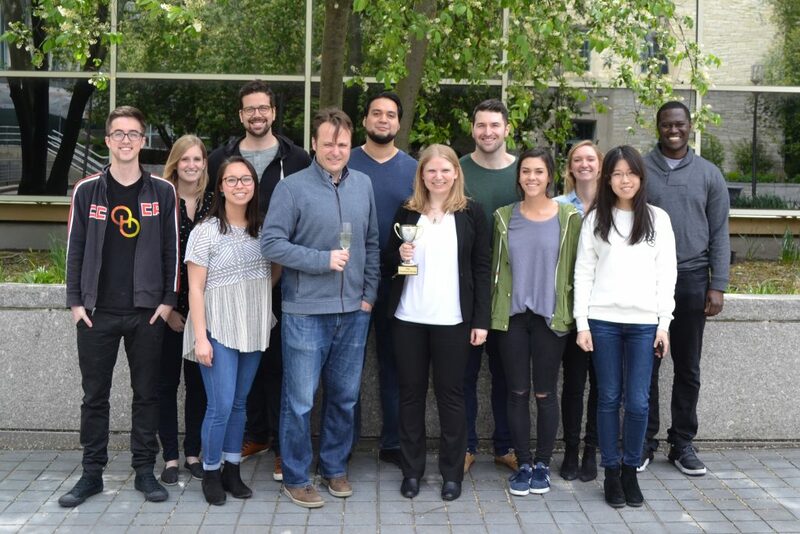 Group Photo in April 2013. 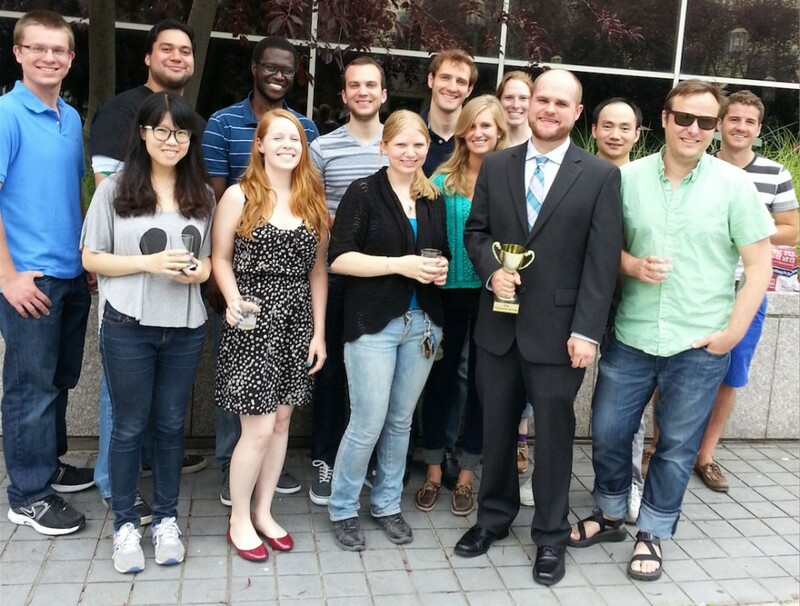 Brian Jones and group members following his Ph.D. thesis defense (2013). 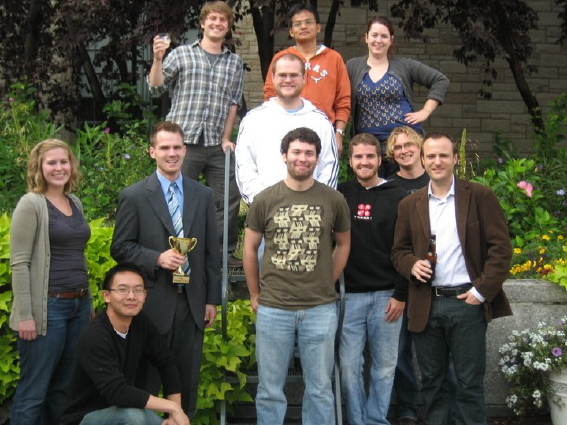 Kelly Lutz and the group after she successfully defends her Ph.D. thesis (2012). 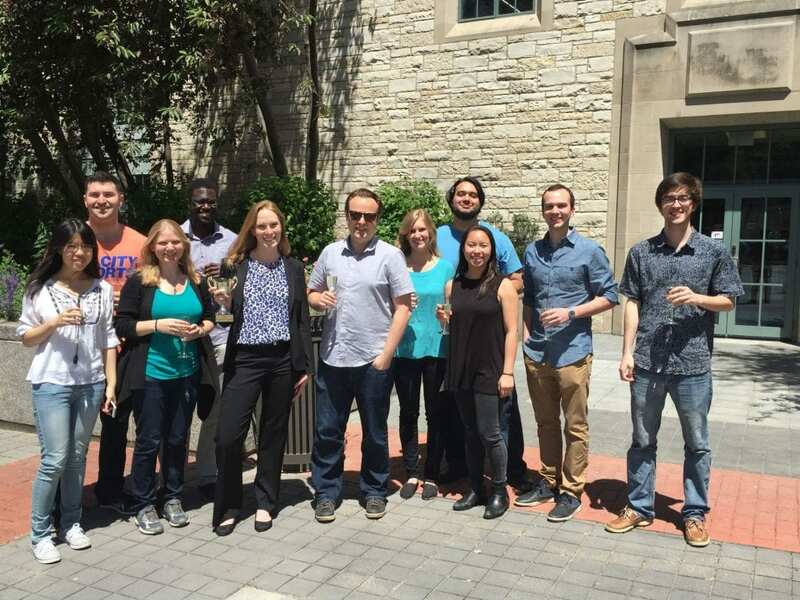 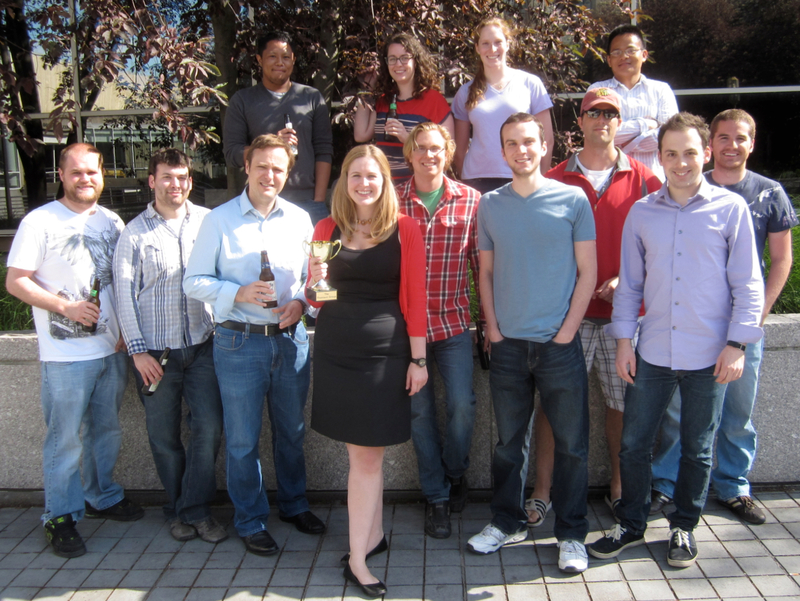 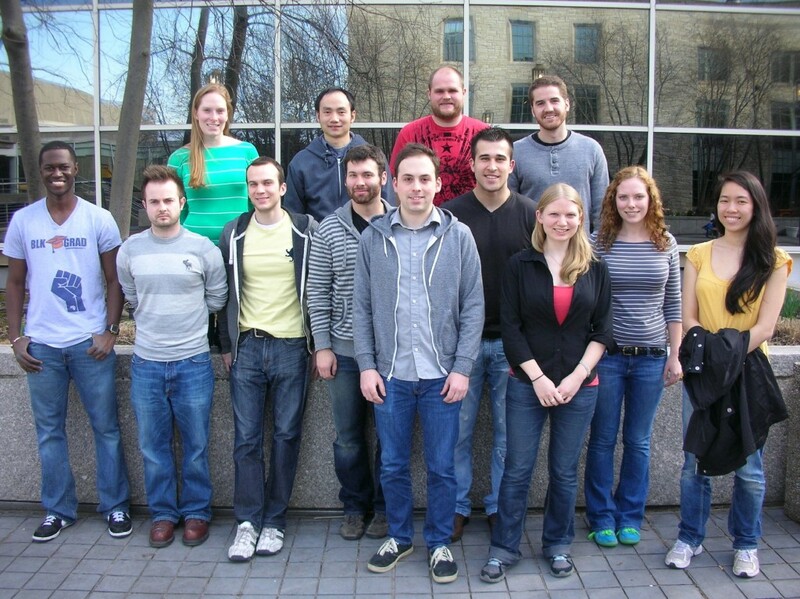 Leah Konkol and the group celebrate her successful Ph.D. defense (2012). 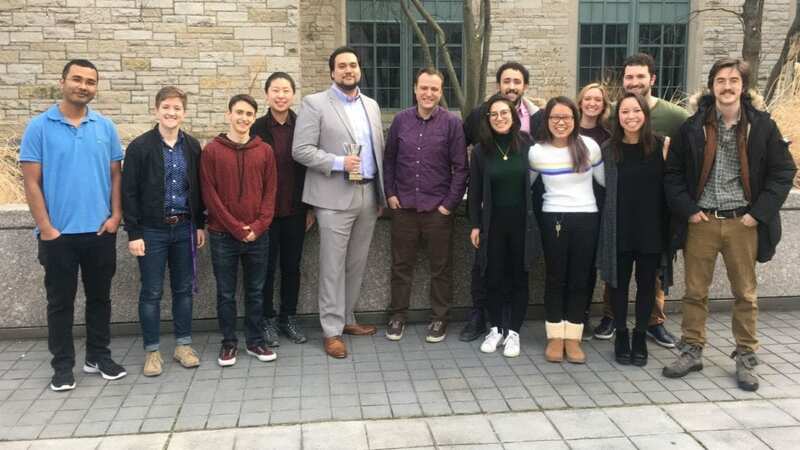 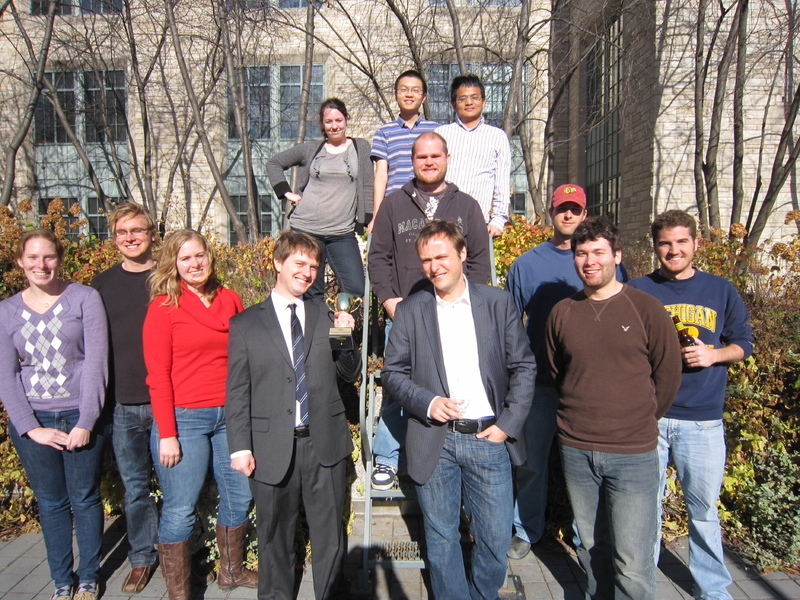 The group with Devon Mundal after his successful Ph.D. defense (2011). 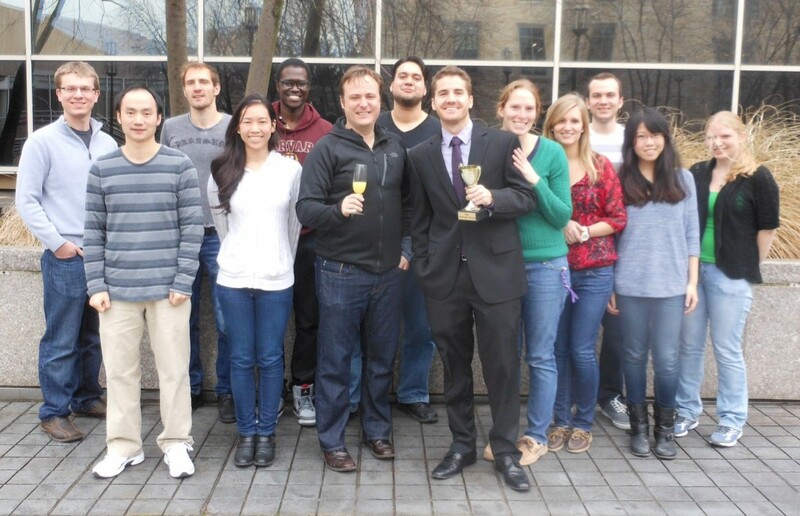 Mike Clift becomes the first Thomson Group Ph.D. (2010).